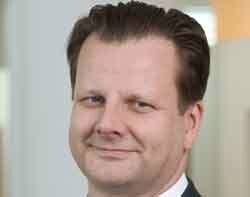 Unwiring the enterprise can pay huge dividends for workers and the corporate bottom line, writes Oliver Bussmann, global CIO at SAP. I've seen firsthand proof of that. Since joining SAP as global CIO in late 2009, I have made mobile adoption one of the cornerstones of our SAP runs SAP strategy. We deployed our first Apple iPad within a month of its release, and we never stopped. As of the beginning of 2011, we had rolled out more than 2,500 iPad tablets to our employees, making SAP one of the fastest corporate adopters in the world. Why? Because we confirmed early on that the iPad was a fantastic tool, not a toy. Our executives and salespeople get real-time access to corporate data on their iPads via their SAP BusinessObjects BI dashboards. Others are using their iPads as virtual private network (VPN)-enabled clients to our server applications. Still other employees are using their iPads for e-mail or social media. In my case, I am a big fan of Twitter. I find the iPad the best way to use Twitter when I have bite-size chunks of free time such as in between meetings. Besides the productivity gains that we see employees experiencing, SAP has also dived headfirst into mobility because we want to be a role model for innovation for SAP's 43,000 global customers. Not only do we want to take the lead and "drink our own champagne", but we also want to share our learnings as widely as possible. At SAP, we believe strongly in device agnosticism. Employees bring in their own expectations. Lifestyle becomes work style. So we continue to be a huge BlackBerry shop even as we roll out iPhones and iPads, Android devices such as the Samsung Galaxy Tab, and new Research In Motion (RIM) devices such as the BlackBerry PlayBook tablet. It's not just SAP that has experienced firsthand the productivity improvements that throw laptops and old-school phones to the curb. So have our customers. At telecom equipment maker Tellabs, for example, shipment approvals on SAP software can be dispatched on an iPad in about a third of the time it takes on a laptop computer. But many other businesses continue to procrastinate on mobility. A 2011 study by Kelton Research found that security fears had caused 75% of enterprises to delay rolling out mobile apps at one time or another, while cost concerns had caused 54% of businesses to hold off. These stats are not surprising. Many other technologies that grew from the bottom up, including PCs and PalmPilot devices, initially were greeted with restrained hostility. But what at first seemed threatening quickly became a business essential. Young professionals - also known as "digital natives" - are entering the workforce as fully indoctrinated mobile device multitaskers. Do not expect them to work without a smartphone or similar device at hand. These employees will want to use the best tool for the job, and rightly so. Beginning immediately, attracting young talent requires a mobile-savvy enterprise. The worldwide mobile worker population will reach 1.2 billion in 2013 - 35% of the global workforce, according to a 2009 report from IDC. A very large percentage of these workers will be avid smartphone or tablet users. Passion for mobile computing is changing not just the way IT must think about corporate data delivery. It is changing the profile of the global workforce, and enterprises must adapt every aspect of their corporate policies to keep up. Oliver Bussmann is the global CIO at SAP. He has more than 20 years of experience in IT management at companies including Allianz Group, Deutsche Bank and IBM. Follow him on Twitter. Mobile working in business - the facts. Is the mobile gambling market still a safe bet for business?